Learn About Epilepsy in Dogs Today! This article discusses epilepsy in dogs. This disease not only affects man, but it's also affects man's best friend. Although dogs are considered man's best friend, many dog owners do not know that dogs can also suffer from some illnesses and genetic conditions that plague man. That is why, a lot of dogs remain untreated for serious illnesses, because owners think that the symptoms manifested by dogs are just the normal ways of dogs. You will be surprised that dogs, and even cats, can also suffer from hypoglycemia, arthritis and even epilepsy. If your dog suddenly acts strangely, particularly manifesting seizure-like characteristics, then your dog is probably suffering from epilepsy. Sometimes an epilepsy seizure is just a one-time incident. However, there are also instances when dogs experience a number of seizures during his entire life, thus you have epilepsy in dogs. 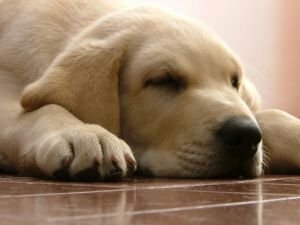 Many studies have showed that epilepsy is more common in certain breeds of dogs, including Beagles, Belgian Tervuerens, Boxers, Cocker Spaniels, Collies, Dachshunds, Dalmatians, German Shepherds, Golden Retrievers, Irish Setters, Keeshonds, Labrador Retrievers, Poodles and Saint Bernards. There are two types of canine epilepsy. The first type is known as idiopathic, also called primary epilepsy, which is considered as a genetic or inherited condition. Epilepsy in dogs that cannot be attributed to other causes is usually considered as primary epilepsy. Dogs with such a condition may experience epilepsy as early as six months old to not later than five years old. Family background is also considered when determining if a dog is suffering from idiopathic epilepsy. Basically, a seizure is considered as an epileptic seizure if it is a clinical symptom or manifestation of irregularities in the cerebral cortex's activity. The degree of epileptic attacks usually vary from mild, or what is also known as petit mal, to a full body or generalized attack, which is also called grand mal. The first phase of an epileptic attack is called the prodome. This phase usually occurs minutes or even days before the actual seizure attack. You will find mood and behavioral changes in your dog during this phase. In the second stage, or what is called the aura, dog owners will now see initial manifestations of an impending seizure. Dogs usually start salivating, licking, pacing, wandering about, whining, trembling, hiding, urinating, and even vomiting. Excessive barking and other strange activities might also be manifested by some dogs during this stage. The third phase, known as the ictus, is actually the seizure itself. Some of the common activities manifested by dogs having seizures are gnashing of their teeth, fainting, excessive drooling, thrashing of head and legs, crying, paddling their legs, and inability to control bowel and bladder functions. The Ictal, or the what is also known as post ictus, is the last phase of the seizure. Usually dogs appear to be doped, deaf, drunk or blind immediately after the ictus phase. Some dogs pace around continuously, while other just sleep or pass out during this stage. Other dogs also seem to be very thirsty and drinks a lot during the ictal phase. This stage may last from minutes to about days after the attack. What you should do when your dog undergoes such seizures? If this is the first attack, you should take note of how long the seizure lasted. This data might be very helpful to your dog's vet. You should also ensure that the surroundings is quiet and peaceful because noise usually prolongs or exacerbates the dog's seizure. You should also immediately bring your dog to a vet because your pet might need important medication to calm the symptom. Epilepsy in dogs is obviously very serious so don't delay. When attempting to carry a dog in seizure to the vet, you must be very careful because you might get hurt in the process. Your dog may not recognize you and bite you or hurt you, so take precautionary measures. It would be better to put your pet in a blanket and have two people carry two ends of the blanket on the way to your car. However, you can also wait until your dog has calmed down before rushing to the veterinary clinic. In short, epilepsy in dogs can be dangerous so please be careful.